Released in Australia early 2016 and stocked by Liquimix. A smart future investment: MACT-compliant technology Graco FRP equipment features MACT (Maximum Achievable Control Technologies)- compliant RS spray guns. As regulations change to require new technologies, Graco promises to be a smart investment for the future of your business.Here’s why. 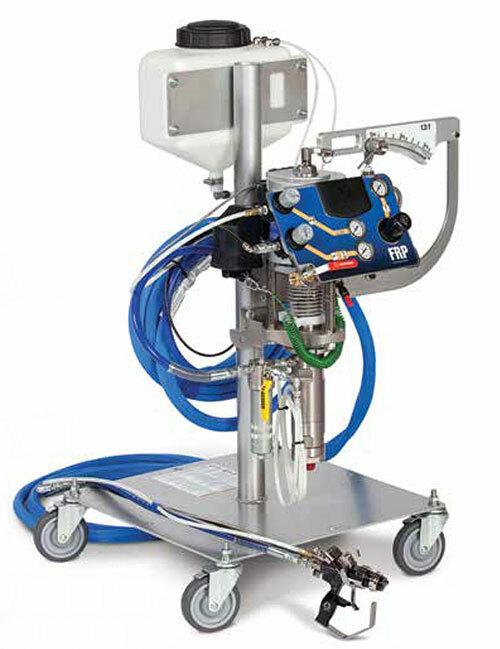 Graco FRP equipment supports MACT requirements with two application tip designs—one for air assisted airless and a second one for impingement spray processes. With Graco, you can switch from air assisted airless to impingement by simply changing the spray tip.